Theoretical and computational modelling are crucial to understand dynamics of embryonic development. 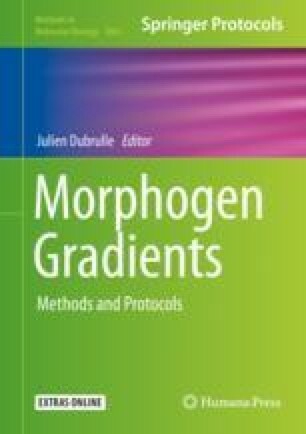 In this tutorial chapter, we describe two models of gene networks performing time-dependent acquisition of positional information under control of a dynamic morphogen: a toy-model of a bistable gene under control of a morphogen, allowing for the numerical computation of a simple Waddington’s epigenetic landscape, and a recently published model of gap genes in Tribolium under control of multiple enhancers. We present detailed commented implementations of the models using python and jupyter notebooks. The online version of this chapter ( https://doi.org/10.1007/978-1-4939-8772-6_16) contains supplementary material, which is available to authorized users. We thank Ezzat El-Sherif for sharing the MATLAB code used in  and the referee for useful comments.